Want your guests to eat, drink and be merry all night long? Want them to try a delicious range of street food from quirky, independent traders, and sample as many cocktails, beers, wines and champagne as they possibly can? Then you’ve come to the right place! Feast It have an impressive bank of over 200 handpicked food and drink traders for your May Ball. They’re experienced at serving their dishes quickly and efficiently, they are super professional, and most importantly, their food and drink is outrageously good. But don’t just take it from us… committee members from Hughes and Lucy Cavendish definitely agree! Now that you know we’re the ones for the job, here are our top 10 traders for your May Ball, picked to perfectly compliment the fireworks and carousels, and to keep the students of Oxford and Cambridge fed and watered until the sun comes up. From drippy cheese USA-style toasties, to quaint english country garden cocktails, this is the ultimate list. We want you to imagine the perfect cheese toastie… it’s thick and juicy and warm melted cheese oozes out the side when you squeeze the buttery toasted bread together. Introducing The Cheese Truck! These guys have an absolute passion for British cheese made in a traditional fashion, get all their fresh produce from UK farms, and are strong advocates of how brilliant British ingredients are. 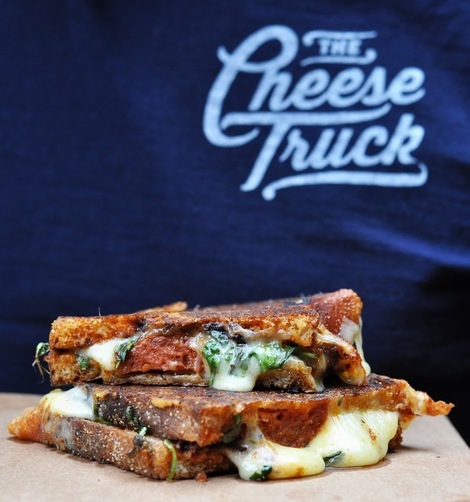 Putting a fabulously gourmet twist on a classic, The Cheese Truck have some exquisite flavours on their menu. From goats cheese, honey, walnut and rosemary, to Bishop Stilton, cured bacon and pear chutney, welcome to cheese heaven. It’s not just toasties that these connoisseurs specialise in… You can also order stringy mozzarella sticks with a rich marinara sauce, and fondue fries with a three cheese and cider sauce. When your guests are partying and drinking hard, The Cheese Truck will be there to satisfy any drunken cravings by serving seriously scrumptious toasties out the side of their retro yellow van, at a totally affordable price. With impressive accolades from The Metro, who claim that ‘The Cheese Truck could be the best street food truck ever’, and The Telegraph who awarded them ‘The Best Grilled Cheese in Britain’, get these guys booked for your May Ball now. There’s no doubt about it, this is the very best in drunk food. 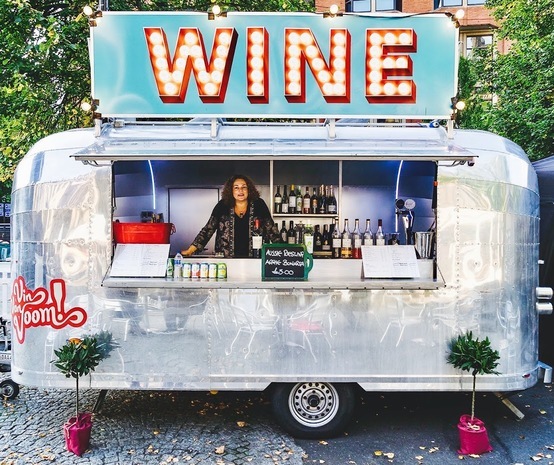 Offering crisp, cold champagne, white and pink prosecco, and a selection of premium wines that can’t be found in the supermarket, Vin Van Voom are the perfect little mobile wine traders, ideal for your May Ball. 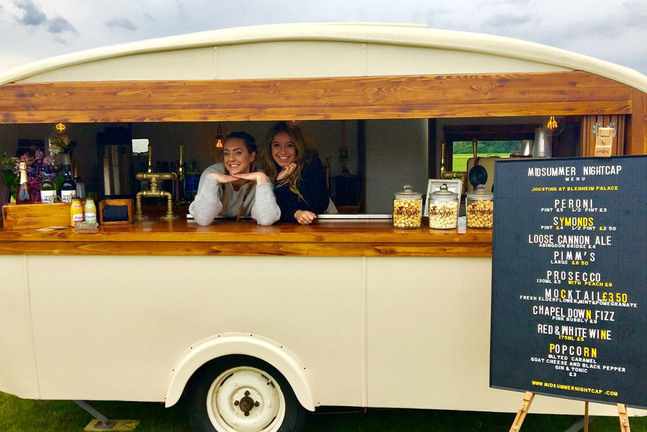 Serving out of a cool chrome 50s Airstream van, they have been commended for their excellent tasting wines and fizz and will really stand out in the grounds of your college, luring in students with their big LED wine sign. Not only are the people that work inside the Vin Van super friendly and trendy, they also know an awful lot about what they sell. Vin Van Voom understand that your event is unique, so are happy to work with your May Ball committee to tailor make an excellent wine and champagne menu just for your college. In 2012, at a Christmas market, a man called Hugo tasted his first ever churro whilst he waited for his wife to arrive. Thank god she was late, because at that moment, his life was instantly changed, and Los Churros Amigos was born (this is a true story). With a mission to spread the joy of these delicious delicacies around Britain, Los Churros Amigos have catered for hundreds of major events, including Glastonbury and Bestival, serving up mouthwatering and comforting deep-fried Spanish treats, handmade right in front of you, accompanied by tubs of divine dripping hot Belgian chocolate sauce. 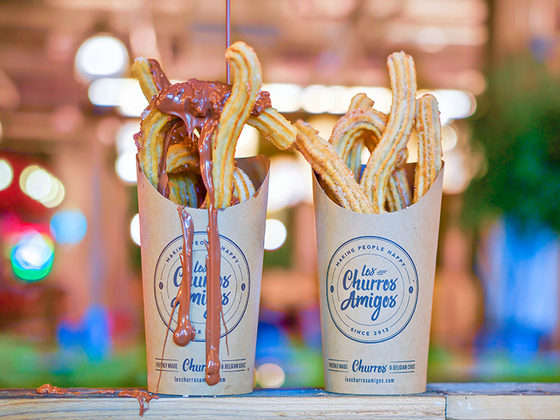 Los Churros Amigos also create their namesakes using purely vegan ingredients and organic flour, good news for clean eaters! This is the ultimate sweet late night snack… fun, friendly finger food to keep your guests endlessly satisfied till morning. 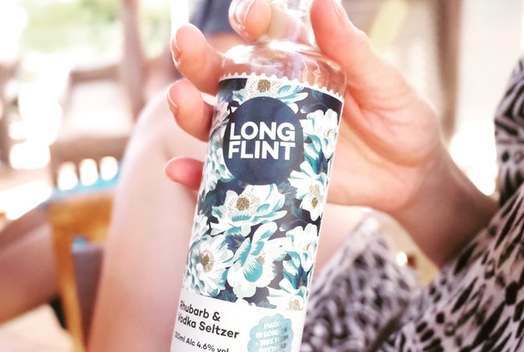 From the Rose Hip & Gin Fizz, to the Winter Spiced Pear Vodka Tonic, Longflint Drinks Co. produce some of the country’s best craft spirits and make them into exquisitely modern aromatic cocktails that will look truly cool at your May Ball. These brilliant beverages are served from their pop up bar in slender glass bottles with stunningly designed labels. Their cosmopolitan set up comes complete with an LED cinema-style lightbox, where their fragrant, botanical menu is displayed. Having the cocktails pre-bottled means that the service is ridiculously quick, ideal for a May Ball, with over 700 drinks being passed over the bar every hour. They’re so delicious that once your guests have tried one, they’re going to want to sample the entire range. 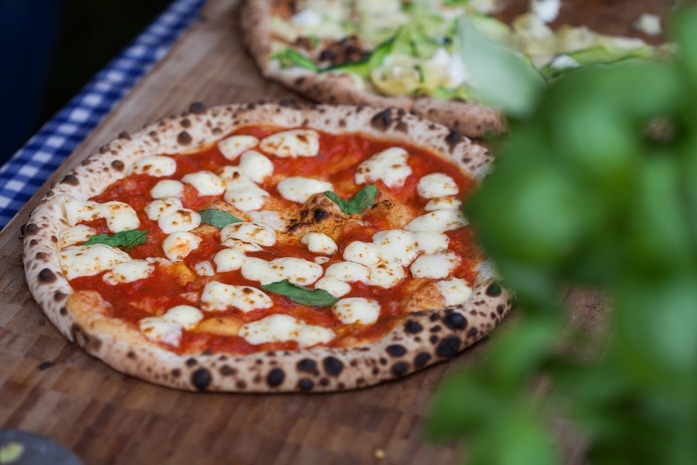 Your May Ball wouldn’t be complete without a really good hand-stretched, wood-fired pizza trader, so Feast It are here to recommend The Pizza Project! With the highest quality dough and locally sourced toppings and ingredients, these experienced chefs make the most authentic tasting pizzas right in front of you, serving up quintessential slices of Italy which simply cannot be faulted. Taught by the winner of Italy’s ‘World Pizza Championships’, The Pizza Project clearly know what they are doing, and make their magnificent pizzas with a winning combination of skill and passion. At the centre of their gazebo stands a bespoke roaring stone oven that your May Ball guests will gravitate towards. Their pizza menu consists of classics made using innovative ingredients, from the calabrese sausage, fresh cherry tomatoes and ricotta of the Nduja, to the artichokes, free range egg and Wiltshire ham of the Continental. That really is amore. 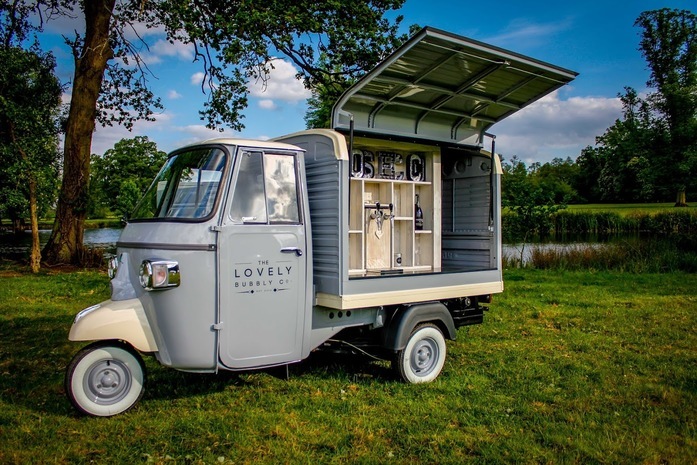 One of the cutest mobile bars around, The Lovely Bubbly Co is all about the fizzy stuff, serving crisp glasses of prosecco, as well as prosecco cocktails such as the classic summertime Aperol Spritz and posh Prosecco Royales, all from their adorably retro baby blue Piaggio van. Beautiful and eye catching, this full bar also offers ciders, beers, spirits, wines and soft drinks, so there really is something for everyone (it’s a wonder how they fit it all in!) The Lovely Bubbly will look quite delightful set up on the grass outside your college, so get them booked in today! 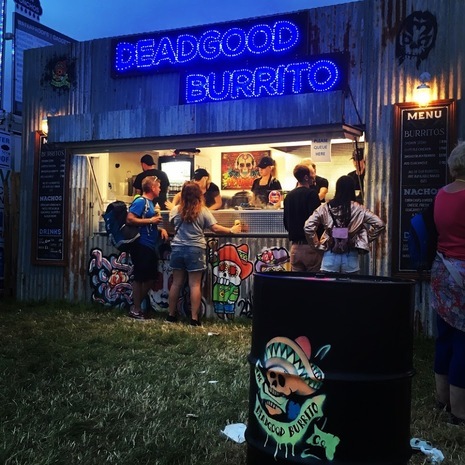 It would be rather rude not to offer the great tastes of Mexico at your May Ball, and it’s all in the name with DeadGood Burrito. Total experts in the archetypal street food of Mexico, their flavour-packed burritos are wrapped up rapidly before your very eyes, absolutely stuffed with citrusy rice, black beans, melty cheddar, smoky meat, spicy jalapenos, fresh guacamole, homemade hot sauces, and much much more… a Mexican Christmas dinner in a soft tortilla wrap. Almost all their ingredients are homemade and the salsas, marinades and sauces are made using recipes created by DeadGood themselves. If you don’t fancy a burrito, they also have plantain tacos, steak tacos, and loaded nachos on their mouthwatering menu. As well as equally delicious vegan and veggie dishes, they also served naked burritos, so if you’re planning on wearing a particularly tight ball gown, DeadGood, a.k.a ‘Best Burrito in Brighton’, have got you covered. These guys are going to look awesome in the grounds of your college, with their cool corrugated iron set up, covered in Day Of The Dead graffiti and topped with a big blue LED sign. If you’re going for a heady whimsical woodland summer vibe, look no further than Midsummer Nightcap, a delightful mobile bar that takes the form of a 1950s cream and wooden caravan. The hatches at the side open to reveal a full bar, serving anything from cold craft beer to fruity frozen cocktails, and they even have prosecco on tap! Midsummer Nightcap are experts in customisation and love to adapt their look specifically for each event, including making a bespoke menu for your college’s May Ball. Our favourite of their concepts is the ‘Vintage Funfair Bar’, where Midsummer serve prosecco topped with cotton candy, accompanied by G&T popcorn. 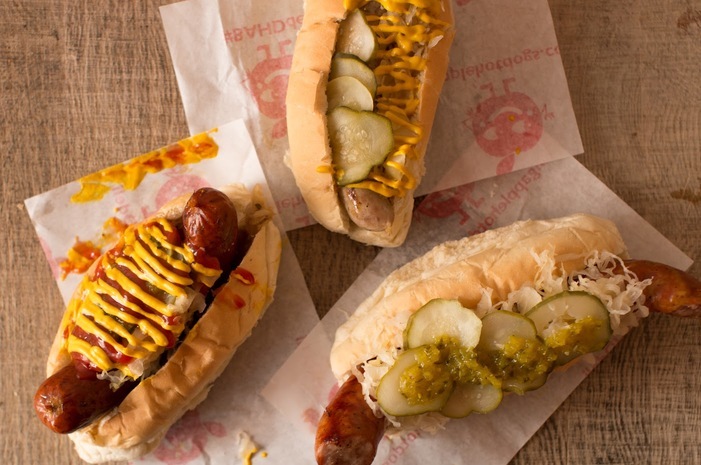 Some of the most classic hot dogs on the street food scene, Big Apple Hot Dogs specialise in totally natural produce, with fluffy buns baked locally in London and free-range pork and beef sausages with absolutely no horrible added extras. Gorge yourself on the real taste of New York with enormous sausages topped with fried onions, crunchy pickles, sweet relishes, and bitter krauts, all coming together to create the most delectable dogs. Big Apple have catered for some seriously impressive celebs, from Lily Allen to Tom Cruise, and the king of flavour himself, Heston Blumenthal, even buys their sausages wholesale. All served from their hot dog cart underneath a big red umbrella, Big Apple are really quick and efficient, so everyone at your May Ball can experience the best dogs in town. 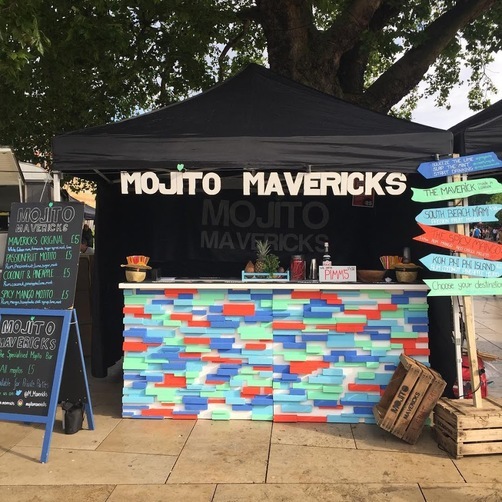 A one of a kind mobile bar, a gazebo with a caribbean beach shack vibe, the Mojito Mavericks are absolute experts in all things mojito. The team have worked at some of the world’s most impressive venues, so you can rest assured knowing that you’re going to get fast and professional service. Not just any old rum, sugar, mint and soda with a novelty straw, these handcrafted mojitos are a cut above the rest, made with a number of innovative combinations that no one will be able to stop talking about. From Spicy Mango, to Strawberry & Lychee, their flavours are fiesty and fresh, just how an authentic mojito should be. Guaranteed to be a highlight for Oxford and Cambridge rum-lovers, get Mojito Mavericks booked now for your May Ball. We hope that these terrific traders have given you some foodie inspiration for your May Ball. There’s no time like the present… browse all of our street food caterers and mobile bars online now, fill out our straightfoward enquiry form, and get your May Ball planning in motion!